Finally got the UI to actually show things (there is a scroll that shows up when you use it. and interestingly, on my touch screen PC this works surprisingly well). Now to have the load button actually load the cargo into your ship! 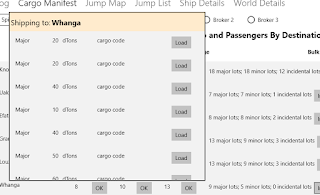 Note that the cargo code is going to be the BITS cargo code, so there is a LOT of interesting tidbits in there, such as the cargo container type and size, what is in the container, and potential hazards. 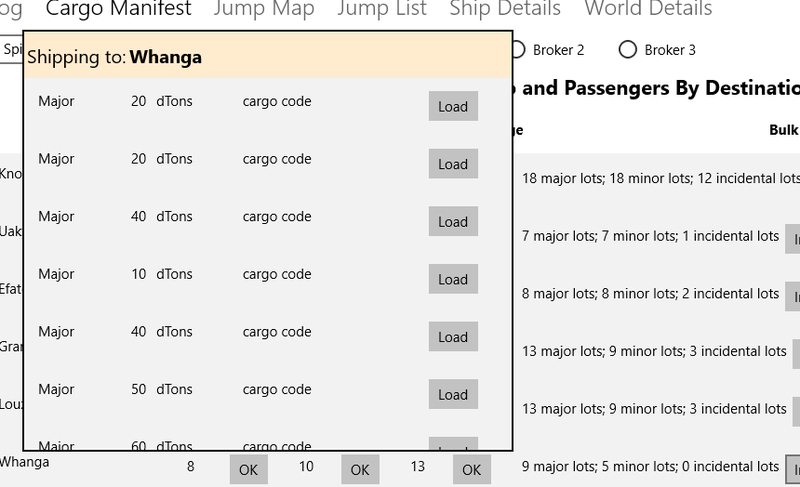 What I am planning on doing is for the bulk cargo is to create a random code (it will have to fit the tonnage but other than that...) So you may end up carrying something toxic only to Aslan and not be aware of it. There will be a decoder in there somewhere, perhaps on the cargo manifest itself.